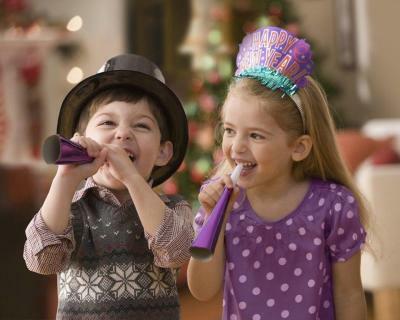 Ring in the New Year with family and friends at the Cheyenne Depot and Plaza! From 3:00 pm in the afternoon when the Children's event begins to midnight when the ball drops, there's lots to do to celebrate! From 3:00 pm to 5:45 pm inside the warm Depot, activities, games and more will entertain kids! Outdoors, there are even more activities in the Plaza. Horse-drawn carriage rides and an ice skating rink provide the perfect backdrop for an evening of fun! At 6:00 pm, a special ball drop and fireworks show top the night off and start the New Year Finish your evening at a downtown restaurant and your New Year is complete! Children MUST be accompanied by an adult. This event is free! Gather downtown in the Plaza anytime after 10pm to meet friends and family and await the brightly lit ball beginning its descent at midnight! In the Plaza, music is playing, people are excited as Auld Lang Syne starts to ring out, then the countdown commences! 10, 9, 8, 7, .....3, 2, 1! Happy New Year!